To most people, tandem skydiving is something they’d do once in a lifetime, so it’s important to do it right. Consider a skydiving tip or two…actually seven…to make it a perfect experience. Skydiving tip no.1: If you have a chance to skydive, do it! Let’s start with the best and most obvious skydiving tip! 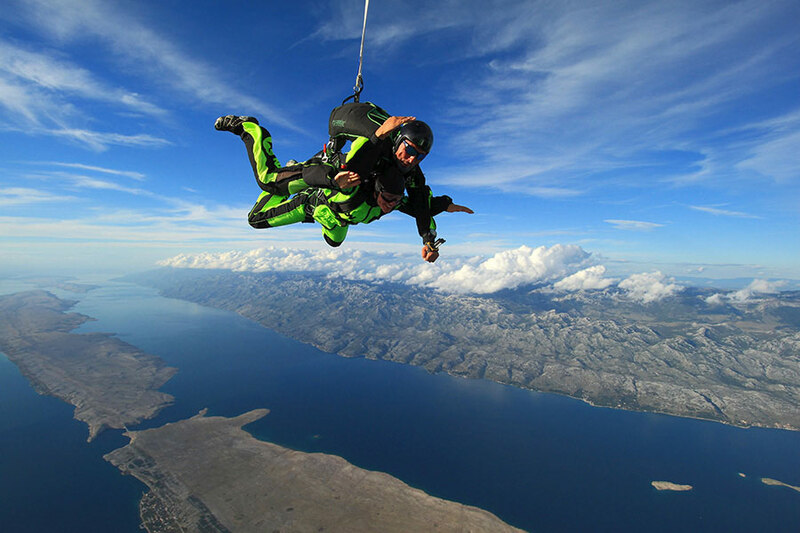 Ok, tandem skydiving is not really the cheapest activity to accompany your trip, especially if you are traveling on a budget.Trust us, this experience is worth your every cent. Maybe you will have to save a bit, cut some expenses here and there, but in the end, what it takes for a happy and fulfilling life is non-material: a mixture of experiences (good and bad), memories, personal growth, people you meet (also good and bad), feelings… and material stuff themselves are not a source of a true happiness. Skydiving tip no. 2: Be aware of your emotions throughout the process. 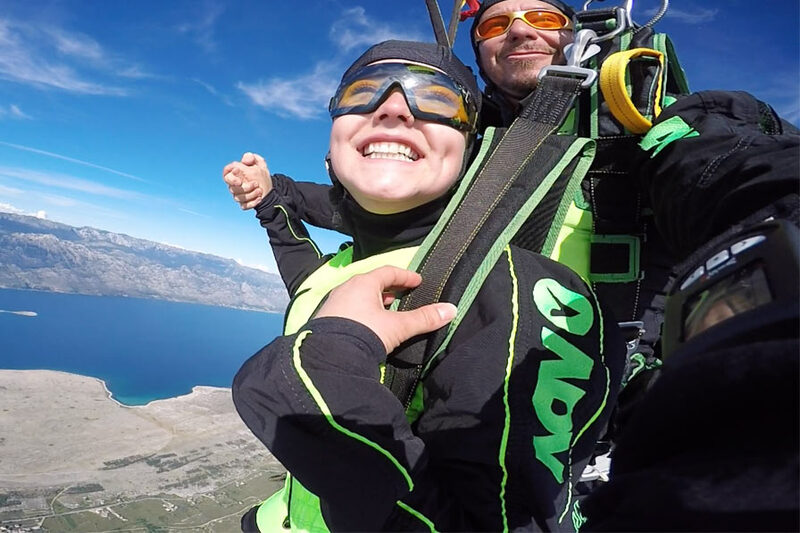 From the moment you booked your tandem skydive, to the moment we drop you off at the airport after the jump, there is a wide range of emotions you will go through. You’ve experienced all of them before, but not in the same order or intensity. Anticipation, feeling nervous, happiness, fear, excitement, anxiety, adrenaline rush, unexplainable calmness… it’s a skydiving sensory overload cocktail, with a little umbrella. Now, bottoms up! Skydiving tip no. 3: Trust your instructor. Skydiving tip no. 4: Follow the given instructions. Even though our skydiving cocktail has started to do it’s magic, it is highly advisable that you sober up in time when your instructor starts explaining how to exit from the aircraft, showing you a proper body position in the free fall, bringing your legs up to land softly and so on. Not to be misunderstood, even if you, for some reason, decide to ignore every given instruction, your instructor is able and qualified to handle your complete jump on his own. But then again, not taking the active role in a jump will deprive you of the perfect first time tandem skydive experience. Once you land, your party is over, instructor is off to another one, so it’s in your best interest that your jump is a perfect one. Skydiving tip no. 5: Do not close your eyes. Now that you’ve come this far, it would be a shame to miss the view, especially here in Zadar. If you are wondering which will be the highlight of your jump – the moment the doors open, free falling, canopy opening or the canopy flight time – actually, each moment is the best thing, but the view is crucial! Skydiving tip no. 6: Relax and enjoy. Relaxed and calm, you’ll do perfect in a free fall, have way more fun and video and photos will be better! … because you will want to do it again… and again… and again!